What's there: Kaufman is a golf course off 4800 block of Clyde Park. They use a snowmobile to set track only. It's pretty good terrain if a little flat. You can ski quite a bit of it without repeating yourself, perhaps 45 minutes. 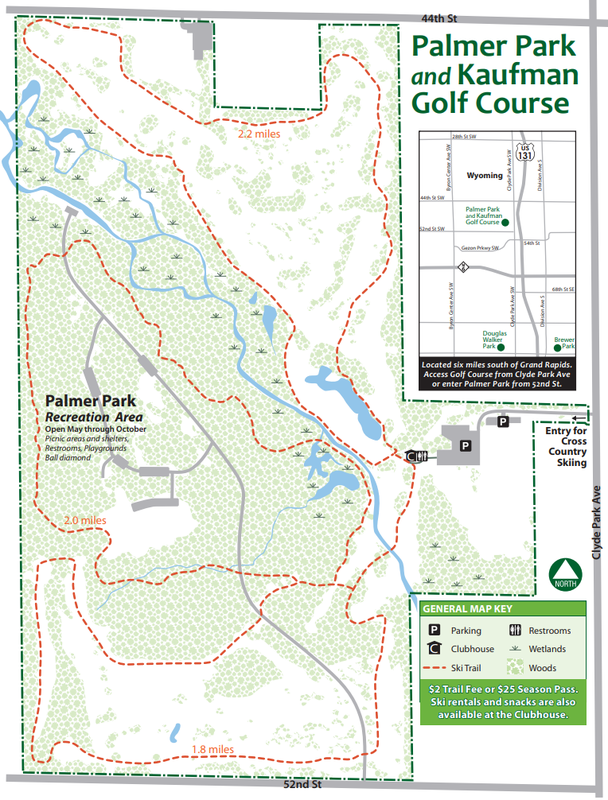 (A list of other Kent County Parks that offer cross country skiing can be found at https://www.kentcountyparks.org/trails/crosscountryskitrails.php.